Virginia Wine Festival® Is September 17th and 18th, 2016! We’re Super Excited to be the New Organizers of the Virginia Wine Festival® ! As the new organizers of the Virginia Wine Festival® we can’t wait to get things kicked off this year! The date for this year’s event is September 17th and 18th..it’s moving back to one of our original locations in Northern Virginia – the Bull Run Regional Park Special Events Center at 7700 Bull Run Drive, Centreville, VA 20121. 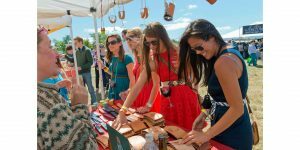 Copyright © 2019 by 41st Annual Virginia Wine Festival | Blog.